After moving into my house more than 12 years ago I’ve been keeping a list of the different birds I’ve seen either in our garden or from our garden. It’s been several months since I’ve been able to add a new one to the list: until Sunday morning. On Sunday I was walking around outside and heard an unfamiliar bird chattering away. In a neighbour’s tree I saw a once familiar sight – a pair of rainbow lorikeets. They were a frequent visitor around my previous home in Sydney. They would sit on the window sill, or on the balcony table, and were “tame” enough to be handfed. However, they’re not supposed to be native to more inland areas like the town where I now live. According to the two bird field guides I own, their habitat should be closer to the coast. However, changing climate seems to be having its effect on the movement of wild life, and the range of some birds (rainbow lorikeets included) is expanding. Both photos were taken from my back garden. Please don’t overlook Klein’s article from The Intercept (“Harvey Didn’t Come Out of the Blue. Now is the Time to Talk About Climate Change” ) accessible via a link at the bottom of the page. I’m posting the reference to this article because it touches on issues I’ve addressed recently in other posts. 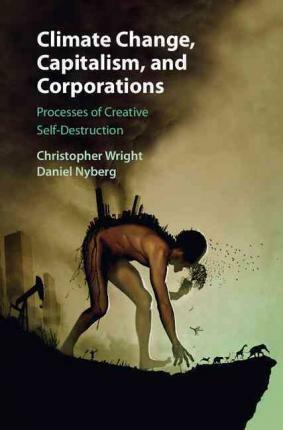 Professors Christopher Wright and Daniel Nyberg published Climate Change, Capitalism and Corporations last fall, arguing that businesses are locked in a cycle of exploiting the world’s resources in ever more creative ways. Species are going extinct at a rate 1,000 times faster than that of the natural rate over the previous 65 million years. Since 2000, 6 million hectares of primary forest have been lost each year. That’s 14,826,322 acres, or just less than the entire state of West Virginia. Even in the U.S., 15% of the population lives below the poverty line. For children under the age of 18, that number increases to 20%. The world’s population is expected to reach 10 billion by 2050. Man sees what he chooses to see. 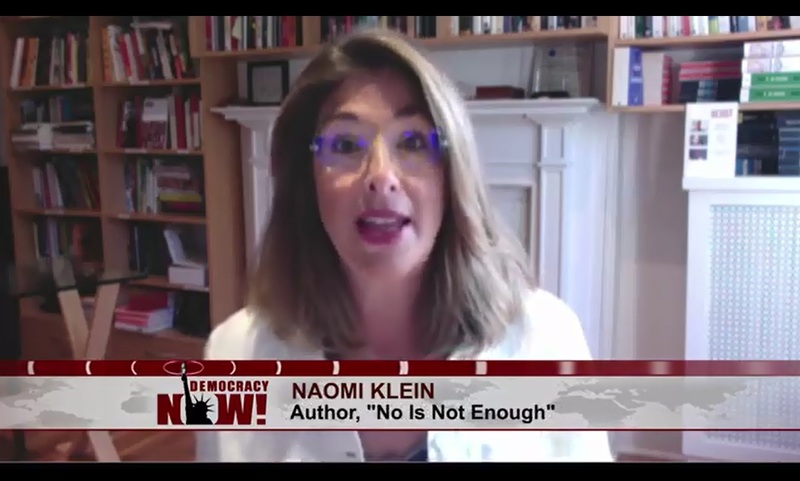 Naomi Klein has pointed out something similar, that acceptance of climate change realities would demand actions that some find politically unpalatable – so they choose to reject evidence pointing to the reality of climate change. Rather than accept the findings of the majority of climate scientists, they prefer to hunt out a few scientists (often not involved in climate science) who deny it. In other words, their stance is determined by what they PREFER to believe rather than by the validity of evidence. I was talking to Gloria about this last night, and she very astutely pointed out that it’s the same situation when it comes to belief in God. People choose to deny God, not because of lack of evidence, but because they don’t like the inevitable consequences of recognising Him. An acceptance of God requires a response; a consideration that He might require changes that will take us from the path we want to follow. Some prefer to blind their eyes and block their ears than to see or hear a truth that requires a short-term price to be paid to gain a long term benefit. In recent weeks I’ve become increasingly interested in political attitudes, but not because I have any hope in political solutions. My interest is in the way that clear political injustices are increasingly, (and sometimes unknowingly) supported by professing Christians, who have been seduced into endorsing ideologies that in various ways can be inconsistent with the gospel of the Kingdom. Firstly there are policies that favour the ultra-rich over the poor. In an earlier post I gave links to information about the changes in taxation rates that Ronald Regan introduced in the 1980s that reduced Tax on the richest by around two thirds. The resulting shortfall in revenue was recouped through cutting welfare expenditure. Unsurprisingly, and not coincidentally, those massive tax and welfare cuts were followed by a skyrocketing rate of homeless rate within the USA. Regan’s practices were echoed after the 2008 economic crash. The financial catastrophe created by unethical and immoral banking practices led the US and other governments around the world to pay 100s of billions of dollars to bail out the offending banks, while the victims of the bank’s immoral practices continued to be made homeless through foreclosures. [One only has to google “home foreclosures” to see how the heartbreak of many families is still being exploited as a profit-making exercise by opportunistic business people]. Ultimately THAT is the kind of political practice that many Christians are endorsing when they offer support to the right wing political parties they seem to favour. A second example is the incredible support given to gun ownership by many American Christians. That’s something else I’ve recently addressed with a link to a video interview with a minister whose ministry lost support when he spoke out against the American love affair with guns. One only has to see some of the gun-supporting arguments raised by Christians to see how quickly irrationality can strike in relation to this issue. A third concern is the overwhelming denial of Climate change within the political ideology supported by so many Christians. It’s a denial that Christians have often echoed without giving the matter much thought for themselves. I’ve read remarks from a few people recently who point out that the denial doesn’t come from an assessment of the available evidence; it comes from an unwillingness to accept the essential political changes that will be required to address the implications of climate change. Again I’ve posted a video interview with Hayhoe in a previous post. I’m concerned that these things (and similar issues) undermine the credibility of Christians and the gospel they may try to promote. Some of the policies associated with these issues directly contravene central aspects of the gospel: exploitation of the vulnerable, trusting in violence and denial of the truth when the truth becomes costly. When I’ve considered all of these things, I’ve come to a conclusion that in summary illustrates a choice between two paths – a choice that at heart is related to a warning Jesus gave; something about the impossibility of serving two masters.